Jeff Chiasson Eliminated in Third Place ($34,030) | DSPT Live! 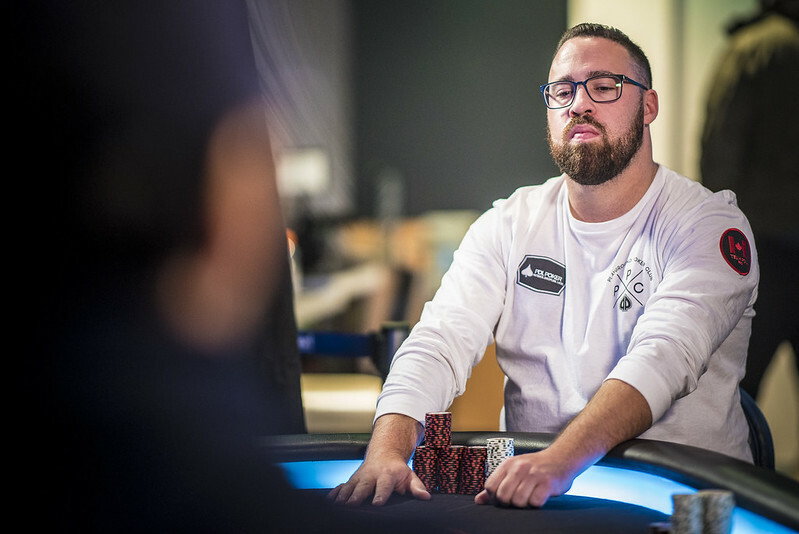 Tyler St. Clair moves all in preflop from the small blind, and Jeff Chiasson calls all in for a little over 500,000 on the big blind. The two players then flip over their cards. Chiasson is eliminated in third place, good for $34,030, and St. Clair stacks up 3,265,000 after the hand.